Post 2 in a series on Dallas history. There have been people around here for a long, long time, perhaps 10,000 years or more. A historical marker in Denton County notes the discovery in the 1950s of “Clovis” spear points in the area that is now Lake Lewisville. Archeologists rank Clovis points among the very oldest of North American human artifacts. 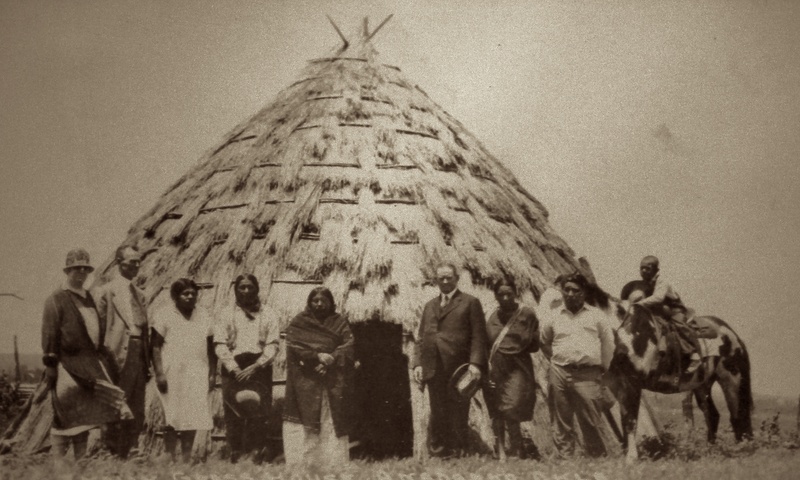 A traditional Wichita grass house; photograph from a postcard ca. 1900-1910; used by permission of the Anadarko Heritage Museum.